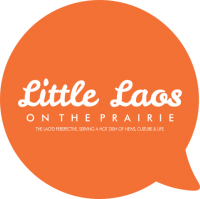 Creative Placemaking for Lao Americans? The Kresge Foundation recently announced a new strategy for its arts and culture program. This approach will unify elements of their three-part framework which guided its arts and culture grantmaking since 2010. What would the impacts be if other foundations engaged in the arts and culture funding followed suit? In a recent statement, Kresge is promoting a form of “creative placemaking.” According to the foundation, creative placemaking embodies the belief that the arts can enliven and rejuvenate public and private spaces, improve the climate for local businesses, bring people together, and contribute to making neighborhoods and communities more desirable places to live. As Lao American artists, many of us have been advocating this approach for years, although it has been best implemented in Minnesota. Even then, this has admittedly mixed results, but that’s a discussion for another time. The new changes are centered on the idea that this is a viable way to create opportunities that willing meaningfully improve the lives of low-income and disadvantaged people nationwide. As Lao Americans constitute one significant sector that’s been demonstrably underserved for decades, this should be a question of significant interest to us. In the press release, their director of arts and culture, Alice Carle, noted that “Projects designed to revitalize neighborhoods or improve the conditions of low-income people work best when arts and cultural activities are fully integrated and a part of a comprehensive community strategy.” The end goal is resilient, thriving, and equitable places. Laudible enough, but as always, we must ask: Qui bono? For who’s good? And how do we recognize success when such programs are implemented? After several years of training with Asian Pacific Islanders In Philanthropy on issues of social justice, I would wonder: Is it because our voices are sincerely sought at the table and recognized for the value they bring? Or, like many of the worst programs we observed, would we merely become a dog and pony show to assuage paternalistic guilt of the powers that be? At another level, considering the creative placemaking concept, what would such a space look like for the Lao Minnesotan community? Is it Laotown, as we’ve been suggesting, or given the current dispersal of the community across Minnesota, are there other models and approaches we should consider? Do we need a Southeast Asian Contemporary Arts Center along Broadway in North Minneapolis? Do we want to create a one-stop arts shopping and participation zone? And how do we begin? Previous PostLittle Mekong Event: Happy Cabaret!